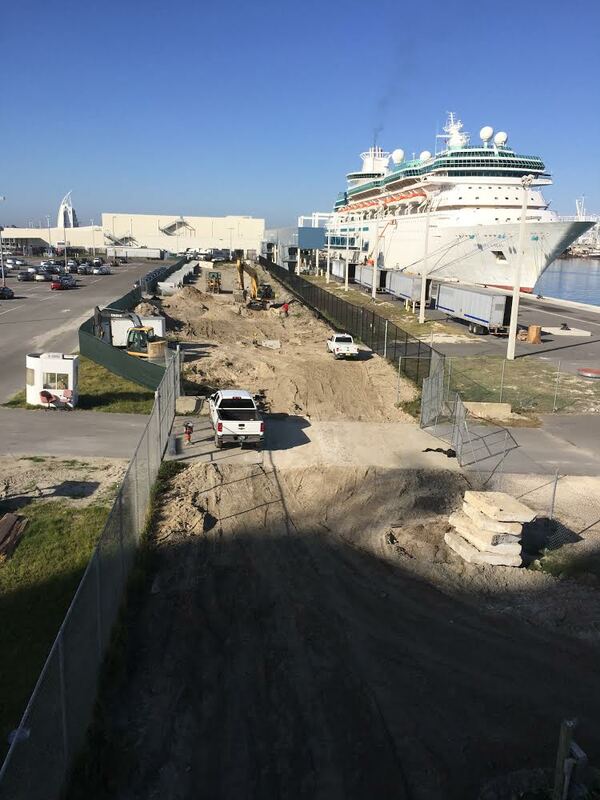 Port Canaveral – Marlin Street Roadway Improvements – RUSH, Inc. 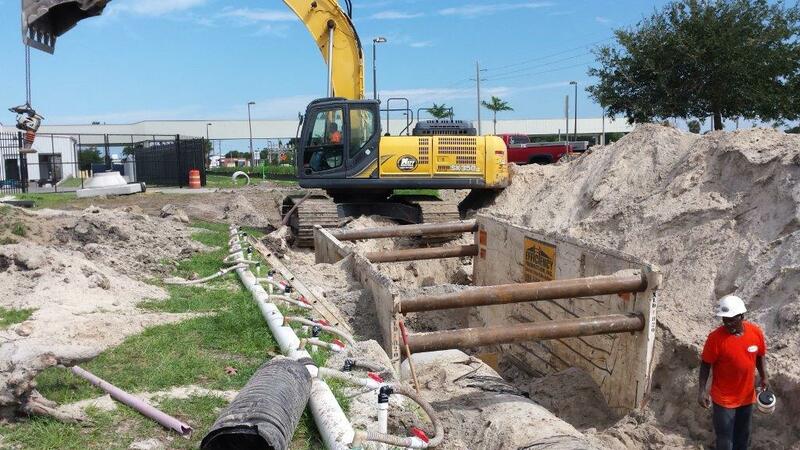 This Canaveral Port Authority project, consisted of roadway improvements to Marlin Street between George King Blvd. and Glen Cheek Drive. 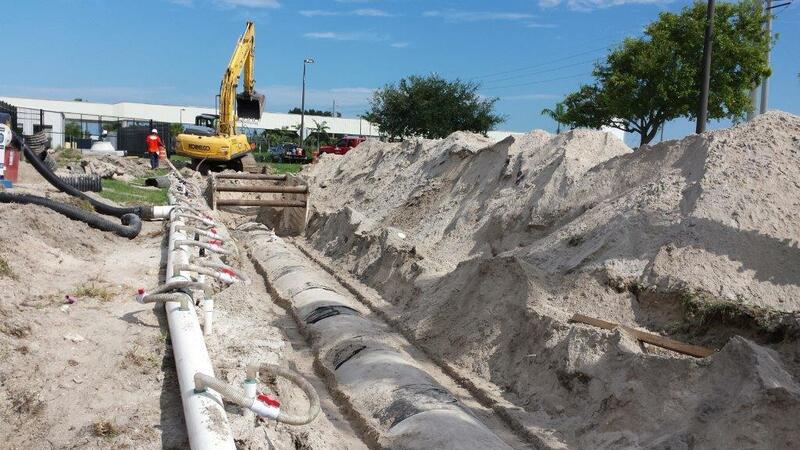 New concrete storm drainage piping and structures from 60” RCP to 36” RCP were installed to correct street drainage issues and allow storm drainage routing back to the Port Authority’s existing storm management retention areas. Concrete pavement was design built by RUSH Construction at the request of the Port Authority for a section of Marlin Street. 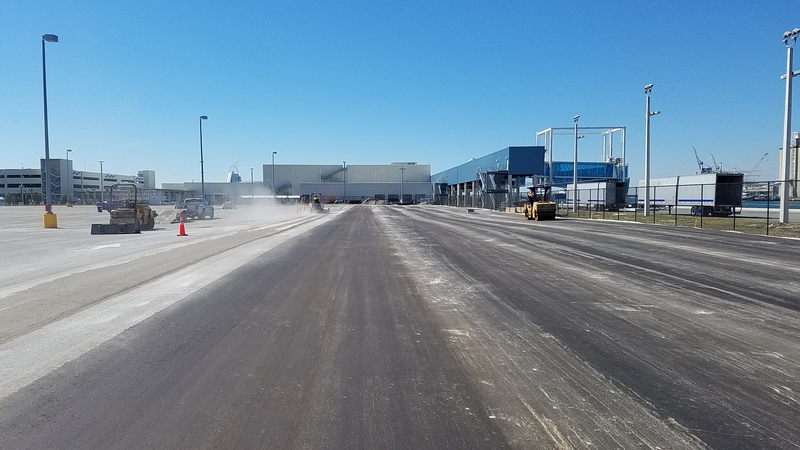 The designed concrete pavement was engineered to allow for section of Marlin Street capable of withstanding the loads and durability required for import ,export, unloading, and loading of heavy tracked equipment. i.e. excavators and bull dozers. 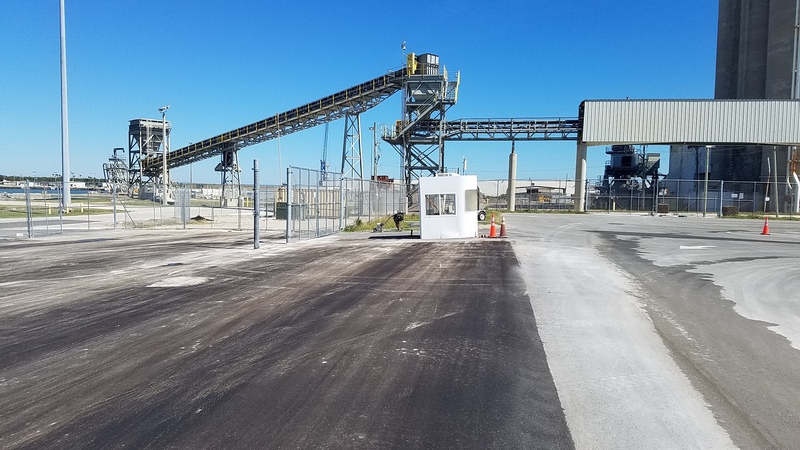 New security fence and gates were also installed to maintain the port security to the heavy equipment storage area on Marlin Street prior to transport. 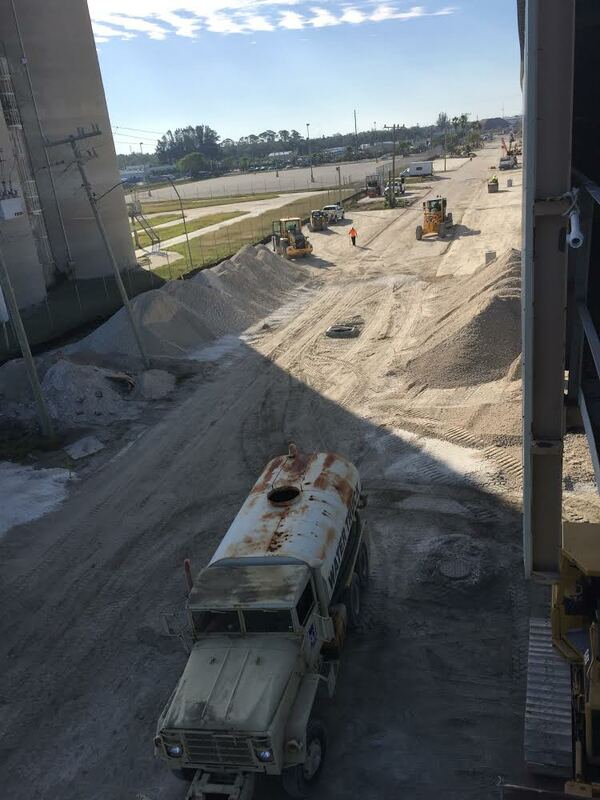 One of the key aspects of this project was maintaining access to Auto Port, and GT-USA warehouses as they are key port distributors of automobiles and cargo goods. The main entrance into these warehouses was located on the section of Marlin Street under road construction. With RUSH Construction MOT planning we allowed for a temporary entrance and exit of semi vehicles off of George King Blvd. allowing for these important day to day operations to continue uninterrupted while Marlin Street was under road construction.